The Powermat 2400 3D is an extraordinary moulder as it does not only allow to process the workpieces conventionally from four sides. In addition, the Powermat 2400 3D enables you to add a surface structure or even a contour to the workpieces, when passing through the moulder. This results in completely new and innovative applications for a process in through-feed: from flooring via facades up to complex furniture parts. 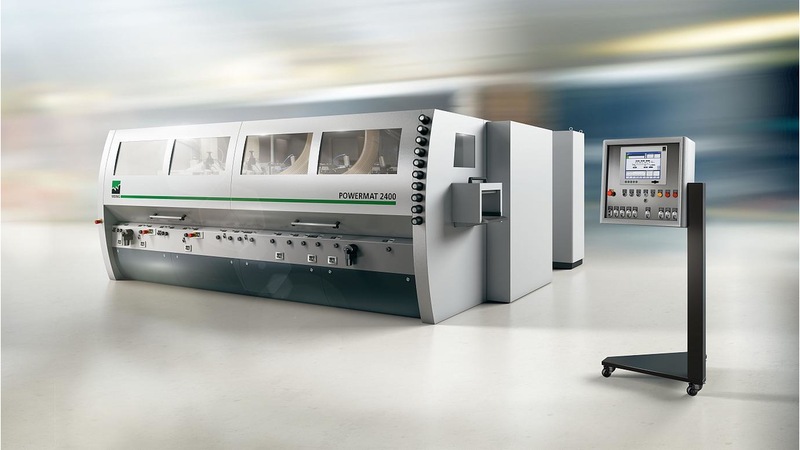 The moulder ensures a high performance potential in combination with a highly precise process.